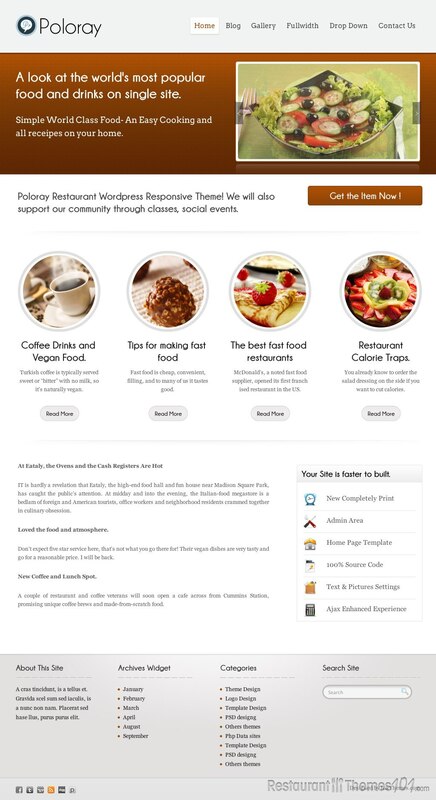 Poloray, from developer InkThemes, is a relatively simple looking WordPress restaurant theme, which can also work great for food blogs, cooking/recipe sites, etc. It uses a basic 3-color scheme to draw attention to what’s important – your content. 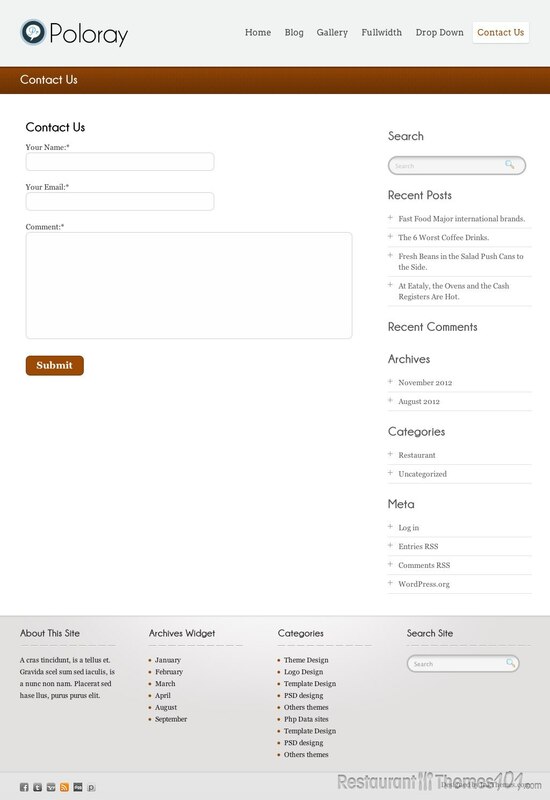 This theme offers 10 custom color schemes, a built in contact form, dropdown menus with unlimited levels, and much more! The design of this theme is definitely simple, which some readers might find unappealing, but the theme makes up for its lack of design originality with an awesome array of features. Unlike most of its competition, Poloray is fully responsive. 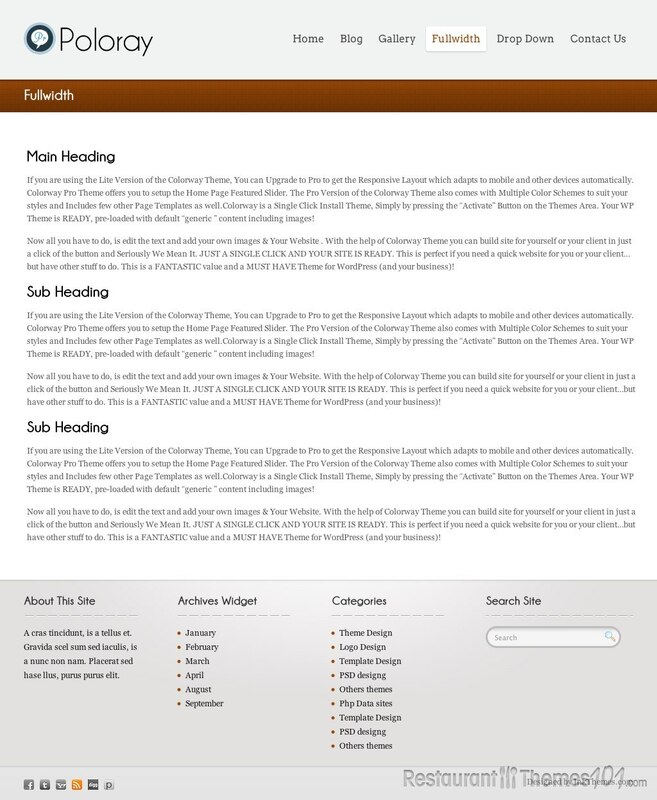 This means that the theme will automatically adjust, based on the reader’s method of access. If a reader accesses the site on a desktop PC, the theme will react with a standard pc-compatible layout. If a reader accesses the site on a mobile device, such as a smart phone or tablet, the theme will react by displaying a simplified, easy-to-use layout, which is perfect for browsing on the go. Poloray is also cross-browser compatible, meaning that Poloray-based sites will work great no matter what browsers are used to view them. This is a huge plus, because more and more people are using mobile devices these days to browse the web, especially for restaurants. When you view the live demo by clicking the grey button above, you will notice a sliding picture gallery at the top. 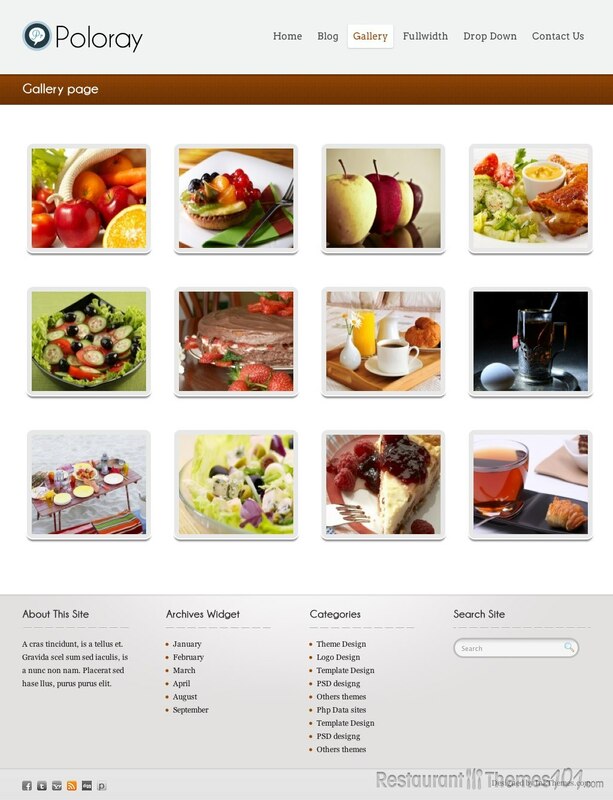 Under that, you will notice several pictures with links, which can be a perfect place to put your menus, specials, etc. One unique design element of this theme is that these pictures are rounded into perfect circles. And you don’t have to have round pictures to fit into the slots – the theme will automatically format whatever pictures you upload to fit the theme perfectly.